Afflecks has always had a strange mythology within Manchester. Its winding maze of indoor market stalls mixes the vintage, the artisan, and the downright weird. So, when we were invited to attend an event titled Afflecks After Dark, it only added more mystery as to what strange happenings we could expect. In fact, the night did an excellent job of making its guests feel welcome and at ease. 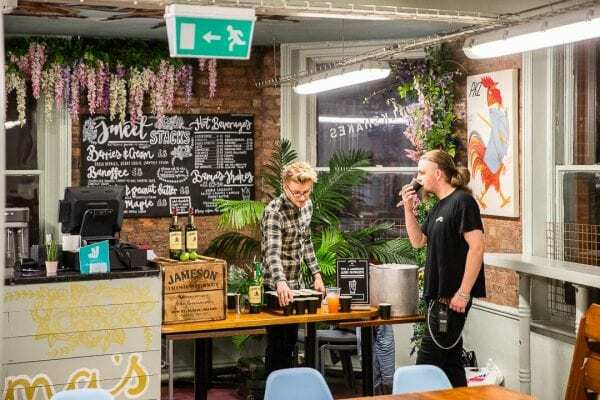 We were immediately greeted with as much free alcohol as we could carry, set free to roam (get very lost) and sample some surprising deliciously vegan bakes from Rowfers, the self-described “alternative” clothing and accessories store. The event was to mark the official Christmas shopping countdown and there were plenty of festive deals being promoted throughout the night. Retro clothing store, Your Totes Vintage, provided some extravagantly patterned Christmas jumpers to splash some colour to the autumnal wardrobe; and Jameson’s pop up bar offered jolly red Strawberry Daquiris packed with a juicy fragrance. But perhaps the most surprising yuletide delicacy came from Ginger’s Comfort Emporium. A small ice-cream parlour run by Claire Kelsey, it boasts a specialised menu of unique, seasonal flavours. Claire allowed us a sneak preview of December’s upcoming specials, which included a delicious vegan clementine bergamot and a gin-soaked blackberry caramel. They are guaranteed to relieve some of those winter blues. Served with a delightfully snappy sugar cone, Ginger’s reminded us that ice-cream doesn’t have to be a seaside snack. One slight dismay was the musical guest of the night. 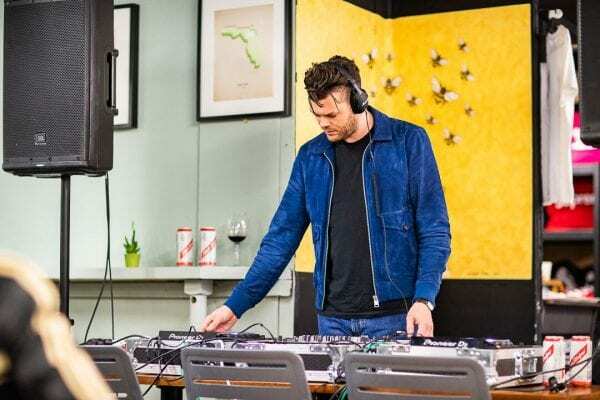 Manchester group, Everything Everything deejayed a short set which didn’t quite showcase the band’s twice Mercury prize shortlisted talents. Only bass player Jeremy Pritchard actually appeared, representing his bandmates with a disappointing setlist lifted straight from the library of a Year 6 Christmas disco. 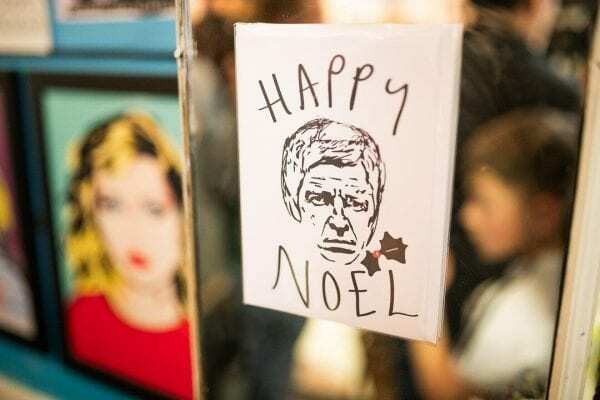 We’d been impressed by an array of Christmassy deals and tasty treats, but the evening’s greatest charm was always going to be one of Afflecks’ best-loved features: its people. People like Sean, who runs Panic Posters, gave us an extensive run down of his favourite post-punk December hits. Afflecks has always attracted friendly, creative people, and tonight was an opportunity to showcase their talents one-on-one. With their wacky hairstyles and unrivalled Northern charm, they’re the people who care equally about their products and their city. 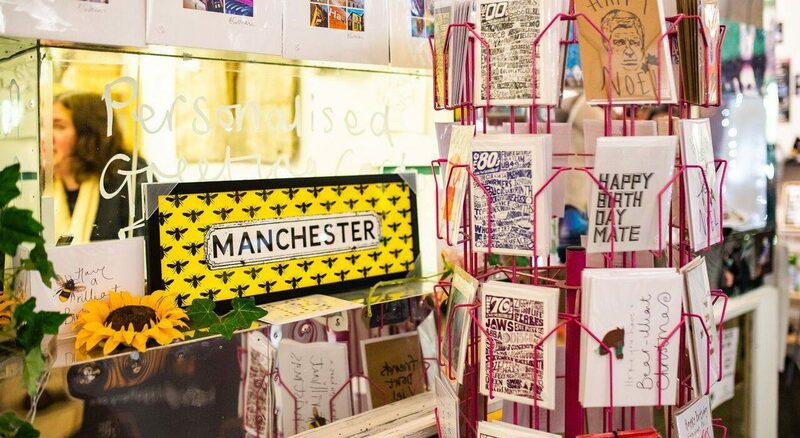 And most definitely, they’re what make Afflecks a Mancunian must-visit this Christmas.